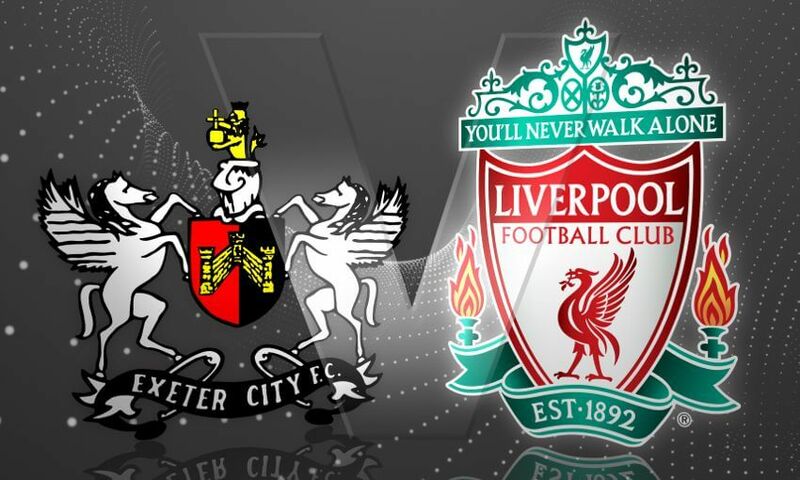 Exeter City vs Liverpool Live Streaming Info: FA Cup 2016 Live Score, Football Match Preview – 8th January: It is the Football Association Cup and today we have the third round starting, the teams from League 2, League 1 and Championship who have made it this far should be proud of themselves as that it is not that easy to reach this stage. This time, we’ll be talking about the first match of the day between Exeter City of League two and Liverpool of the Barclays Premier League, the match will be played at Exeter’s City home at St. James Park in Exeter. We all know a team of League 2 playing against Premier League teams always finds it difficult but being an away match for Liverpool, anything can happen here as their away form is a bit shaky this season and also they have lost their first game of 2016 in the Barclays Premier league as well. 09th January 2016 at 01:25 IST. St James Park, Exeter, England. Exeter City’s form has been very poor and doesn’t seem to improve one bit in the League 2. They are currently 16th on the table with 30 points in the 24 games played in the league till now, below on goal difference from Luton Town and above from Notts County on goal difference. In the league they have won eight, lost ten and drew six in the 24 games played. They have lost four against Dagenham by 1-2, against Wimbledon by 0-2, against Oxford City by 3-0 and against Luton Town by 2-3 and drew one against Bristol Rovers by 1-1 in their last five games in the league. They played against Dagenham in their last match in the league and lost by 1-2 at home. Labadie scored the first goal in the 11th minute but after several attempts Nichols equalized in the 43rd minute but Dagenham managed to score the winner in the 74th minute and won the match. Liverpool plays in the Premier League and is currently eight on the table as they dropped positions due to the loss against West Ham in the first game of 2016. They have 30 points in 20 games played, below Crystal Palace by one point and above Watford by one point. Their recent form has been okay as they have won twice against Leicester City and Sunderland, lost two against Watford and West Ham and drew one against West Bromwich Albion. Olejnik, Woodman, Holmes, Davies, Nicholls, Taylor, Reid, Nichols, Tillson, Grant, Brown. Mignolet, Clyne, Sakho, Lovren, Moreno, Can, Leiva, Ibe, Firmino, Coutinho, Benteke. Liverpool should win this easily as they are very strong as compared to Exeter City. Do return here after the match for its result, video highlights, full/complete scoreboard/scorecard and much more. Don’t forget to share it on social media sites. Stay tuned for latest Football news.